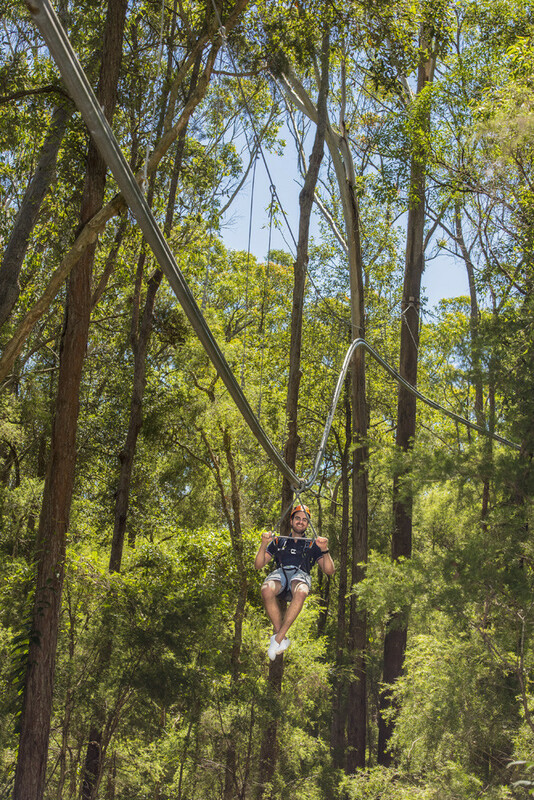 Users glide through the tree canopy, making 360 and 720 degree turns, dropping in sharp descents, zig zagging and gaining speed… All while giving you an exhilarating and breathtaking new perspective of the forest adventure park! 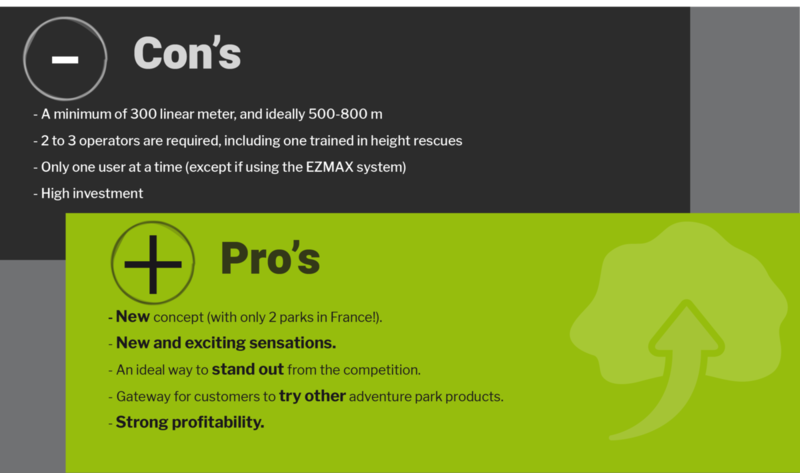 Ecozip is an innovative new system allowing ziplines to glide, zigzag, and pivot, producing thrilling sensations like no other. 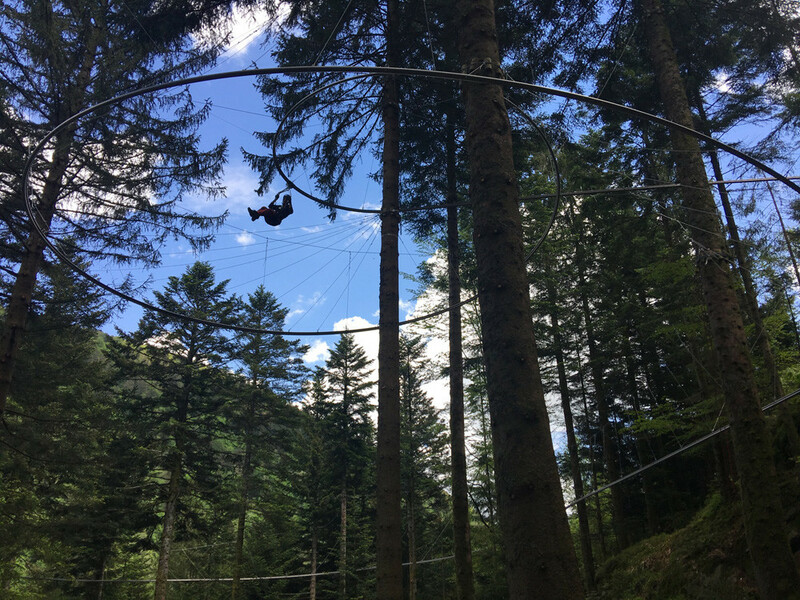 The suspense and the force of gravity produced by the turns create a zipline experience that is novel and unforgettable. 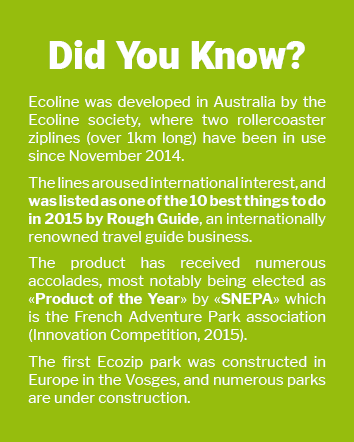 Ecozip is the only unsoldered system. It consists of two circular steel tubes bolted together and suspended by steel cables (a patented Ecoline system). The cables are attached to selected trees (or to posts or other anchoring points if inside). The assembly system allows users to make extremely tight turns and therefore has a limited impact on the forest (as there is little need to cut trees and branches). The new and extremely light chariot (weighing only 5kg, and specifically designed to fit the Ecoline tubes), is threaded down the tubes and descends the entire length of the course in total safety. The creative attachment system and engineering of the chariot means the user can never get stuck on the track. Suspended from the cart by a harness, the user is able to sit in comfort while enjoying the thrill of the ride. A unique braking system allows them to slow down as the ride comes to an end. 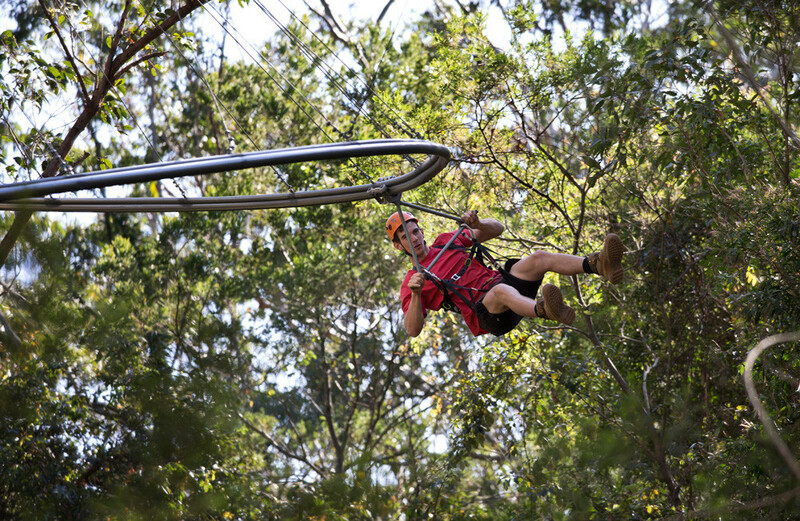 For an even greater experience, it is possible to couple the zipline with Virtual Reality or RFID Tracking.